Grasshopper Resin Extractor began when our two co-founders came together to develop a system that was capable of handlingvolume, as well as, utilization of the entire plant specifically dry plant material such as hand trim, bulk trim, machined trim and any other plant wastewith little expended effort, yet still providing a high quality product in return. Together they designed a high powered resin extraction system that would give the commercial grower an advantage in a increasingly competitive market. They wanted a total performancemachine that reduced waste and increased productivity and profits. 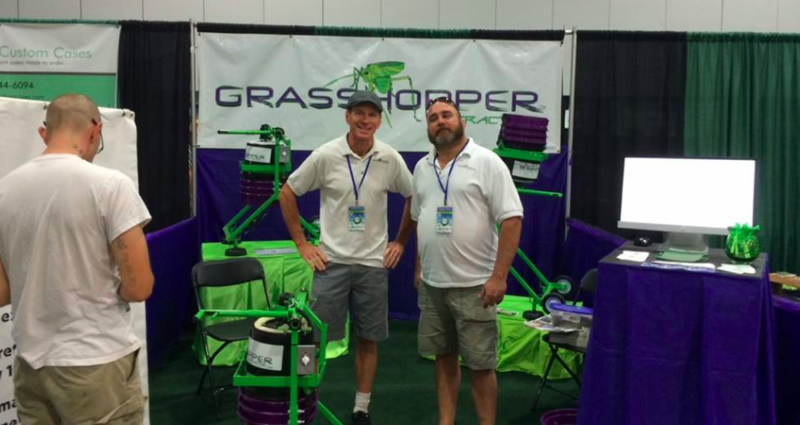 Drawing on over 20 years experience in business, design, development, contracting and fabrication, our co-founders designed the Grasshopper Resin Extractor system. The patented pending Grasshopper, is the ultimate extraction machine providing high grade kief material which can be used for medicinal edibles, wax, oils, tinctures, and other cannabis based products. After hundreds of hours of testing, the Grasshopper Resin Extractor has impressed numbers of growers who rave about its raw speed and mechanical power. The Grasshopper Resin Extractor has been engineered to perfection with the customer in mind. We are dedicated to a clean safe environment. This is a solvent less system which is easy to use and easy to clean and free of any harsh chemicals. It is a clean green working machine. The Grasshopper Resin Extractor is proudly manufactured in Southern Oregon.